This accessory package is suitable for extension or addition to an existing CURV 500®. 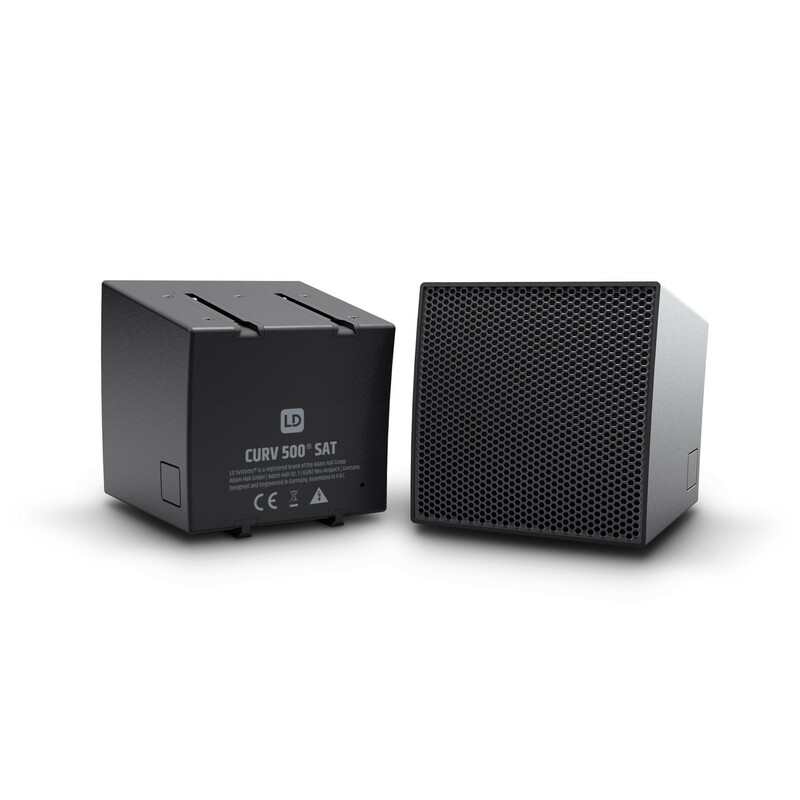 The satellites, 12 x 12 cm in size, are made of black die-cast aluminium and produce an excellent sound. This is achieved by their single 4-inch midrange driver and three 1-inch high-frequency drivers. 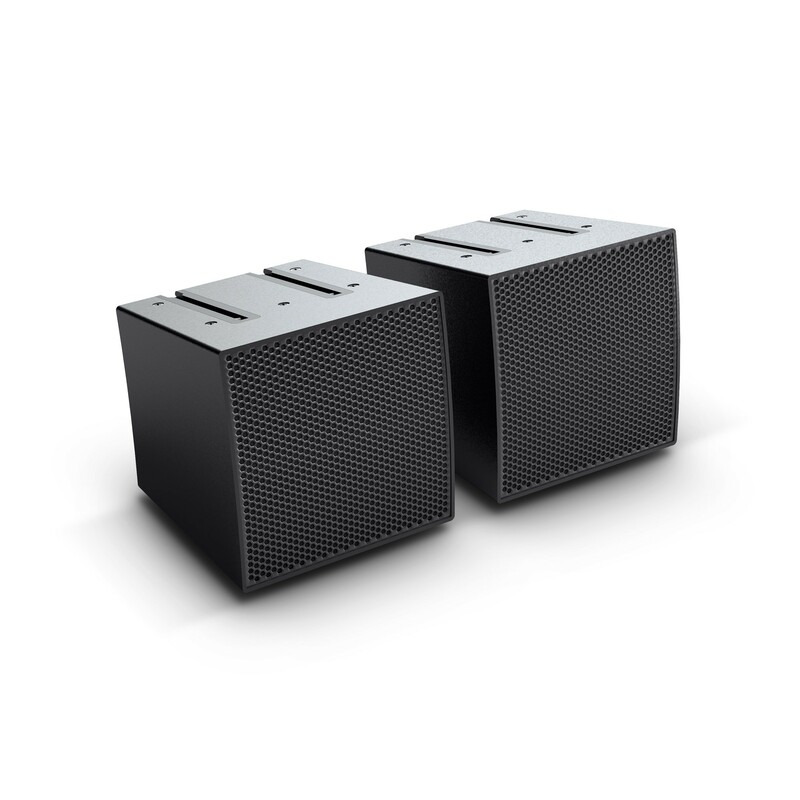 Thanks to the WaveAhead® technology developed by LD Systems, the tweeters are arranged vertically ahead of the high-performance full-range speaker, thus the perfect sound mix and dispersion is achieved. The 110 degrees horizontal dispersion angle is very wide and is limited vertically to 10 degrees per satellite - which reduces reflections on ceilings and floors. A passive crossover at 2500 Hz ensures an optimum allocation of the frequency spectrum. With the patented SmartLink® plug-in mechanism, the system, comprising up to four array satellites, can be assembled without cables in a matter of seconds. Robust metal grilles with acoustic material for rear tensioning protect the drivers of the rugged satellites featuring 16 ohm impedance and a weight of 1.73 kg. 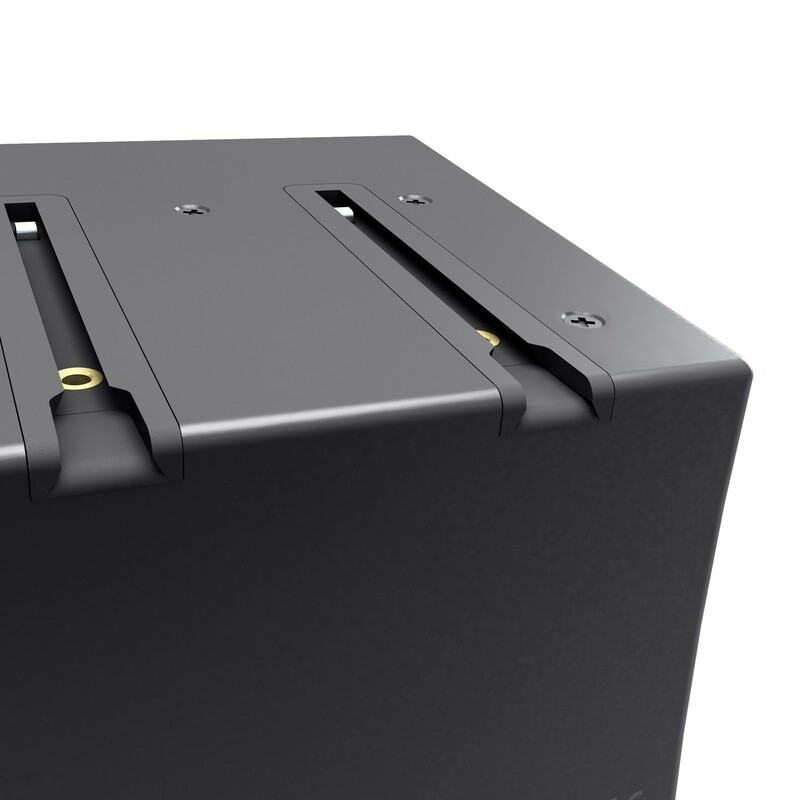 The matt-black powder-coated surface is resilient and gives the satellite an elegant look. For fixed installations, there is an M3 screw connection for the safety rope. 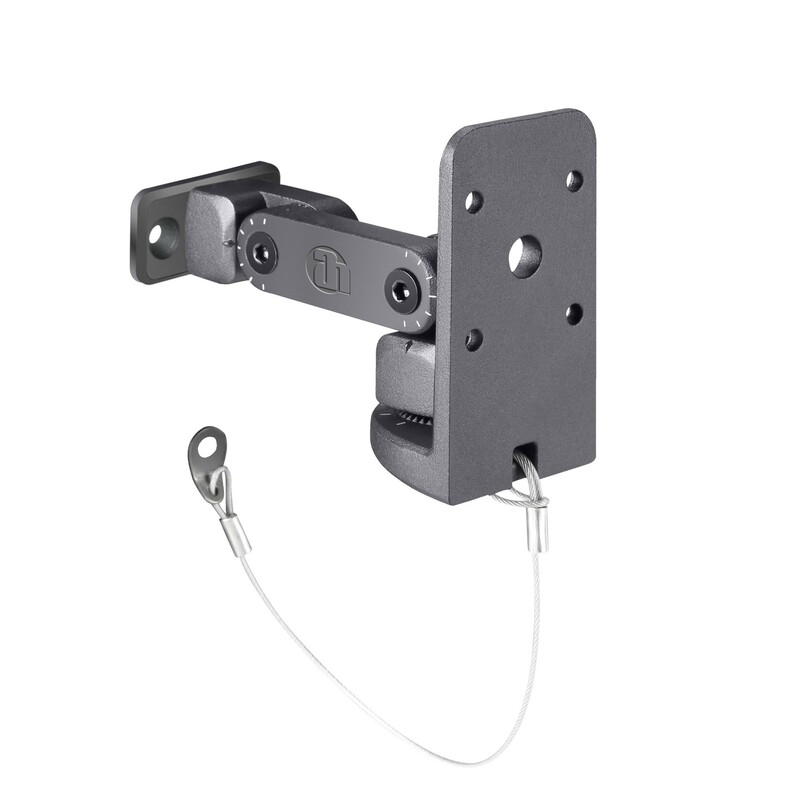 This custom designed CURV 500® wall mount holds up to six standard CURV 500® satellites or three Touring Set duplex satellites attached to the system’s SmartLink adapter. 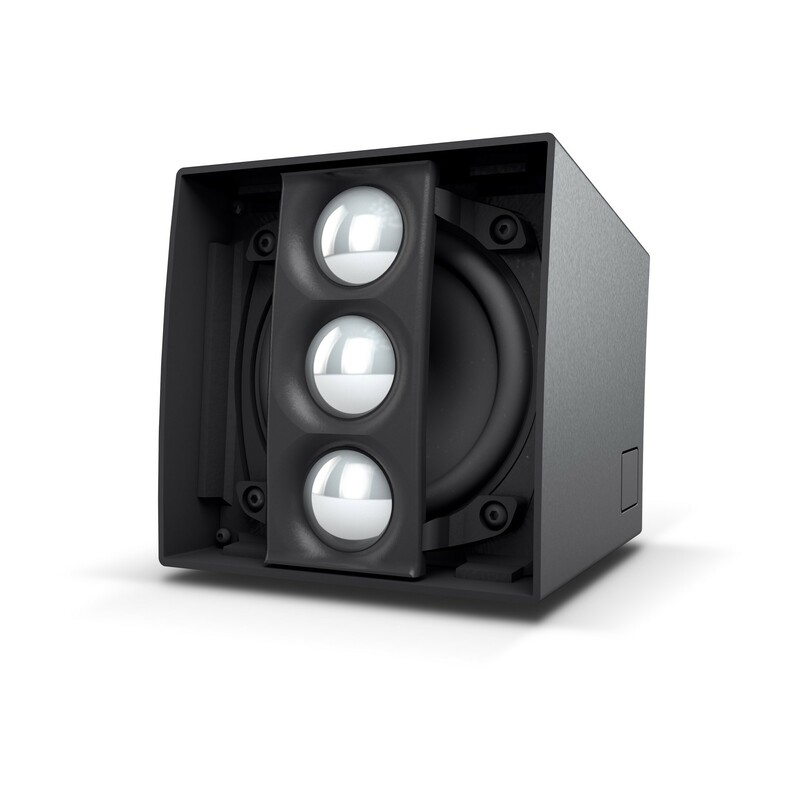 Providing optimum speaker orientation, the adjustable tilt and swivel construction is made of powder coated steel and and aluminium. 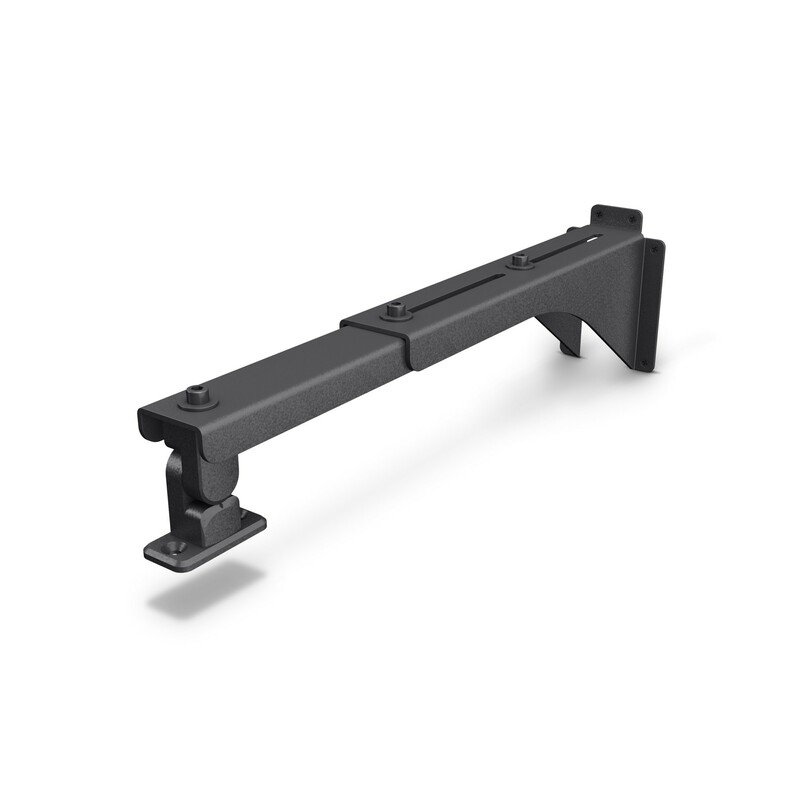 The LD Systems CURV 500® mounting bracket is designed to mate with the CURV 500 SmartLink adapter. 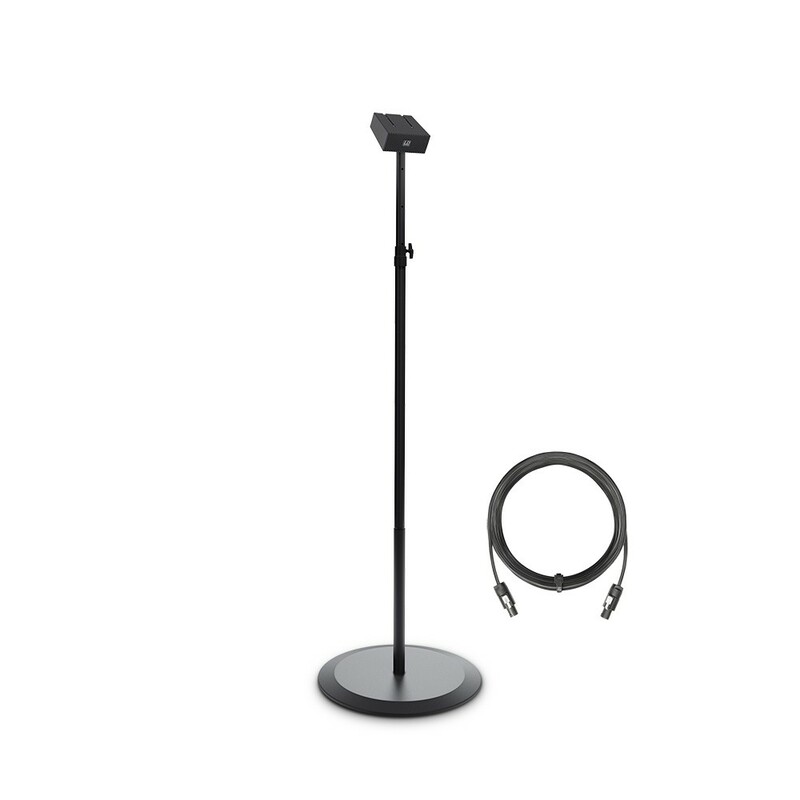 It is made of powder coated die cast aluminium, is fully adjustable on all axes and can therefore be individually aligned. It includes a 20 cm steel safety rope to secure the CURV 500® satellites attached to the SmartLink adapter in accordance with BGV C1.